fashions | Out of the Box! It’s the annual “Pink Out” game this weekend. Everyone wear pink and support the search for a cure for breast cancer. Deciding what to wear to the Sam Houston vs.Texas A&M Commerce game on Saturday will be a no brainer. 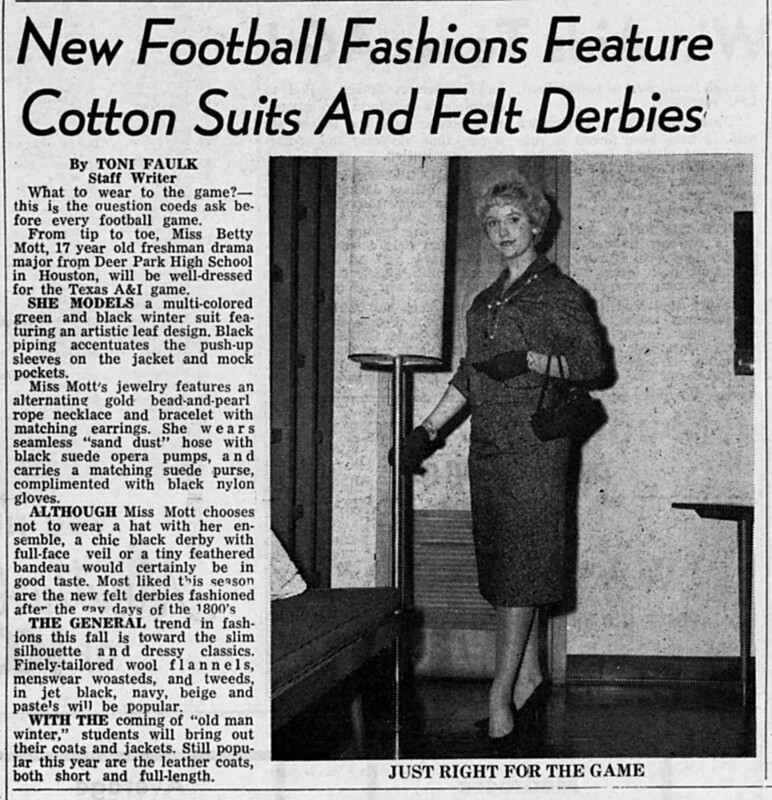 But back in 1959 The Houstonian decided to give female football fans a few helpful hints on the latest football fashion. This clipping is from The Houstonian, October 24, 1959. To see more football fashion in the SHSU yearbook, The Alcalde, or copies of The Houstonian come visit the University Archives, room 400, Newton Gresham Library.